Will the UK parliament vote for delaying Brexit? After the British MPs rejected Prime Minister Theresa May's plant to leave the EU for the second time this Tuesday, the government put forward a motion to rule out a ''no-deal'' Brexit the following day. MPs then backed an amendment to that motion, which rules out a no-deal Brexit under any circumstances. The motion as amended was passed by 321 votes to 278. MPs on Wednesday also voted down an amendment which resurrected elements of the "Malthouse compromise" for a "managed no-deal", supported by prominent Brexiters. That amendment included a delay to May 22 for preparations. The prime minister confirmed that a vote on extending Article 50 will take place as promised on March 14. 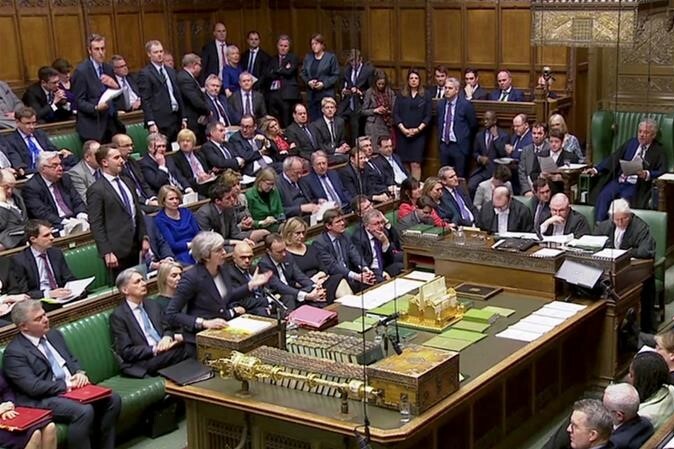 If MPs on Thursday vote to delay Brexit, the prime minister will put forward a formal request to the European Union for an extension of Article 50. May wants to avoid an extension that would oblige the UK to take part in the European Parliament elections while in the process of exiting the bloc. That means the new deadline would have to be before the new assembly's first sitting on July 2. Any extension of Article 50 would have to be agreed by all 27 remaining EU member states. The next opportunity to do that will be on March 21-22, when the next European Council convenes.